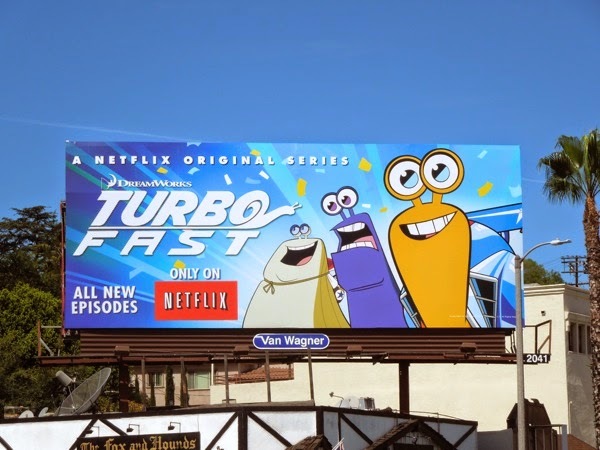 Now here's a fun billboard to brighten your day, it's for a fresh batch of all-new episodes for the Netflix original animated series, Turbo FAST. 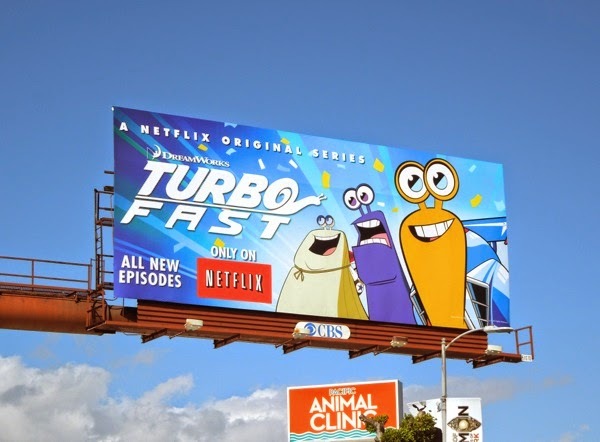 Based on the DreamWorks computer-animated feature film, this flash-animated cartoon show follows the adventures of racing snail 'Turbo' and his Fast Action Stunt Team friends like 'White Shadow' and 'Whiplash' as they take on new challenges and high-speed rivals. This 26 episode animated show is the first project from a five-year deal with DreamWorks Animation and Netflix, from Titmouse animation studios, so expect more cartoon content to follow to help the growing streaming channel appeal to younger viewers. 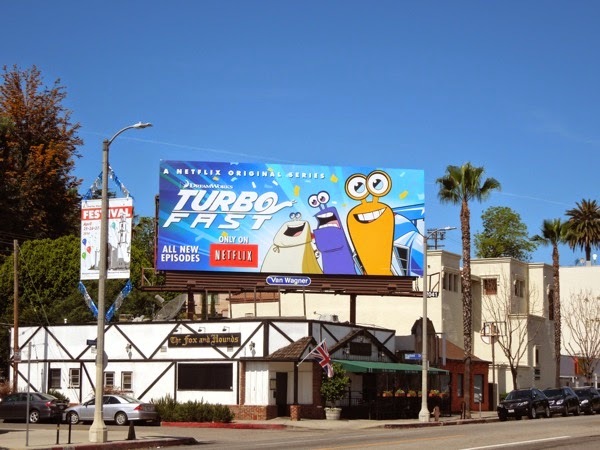 This Turbo FAST billboard was first spotted along Santa Monica Boulevard in West L.A. on April 1, plus later along Ventura Boulevard in Studio City on April 27, 2014. 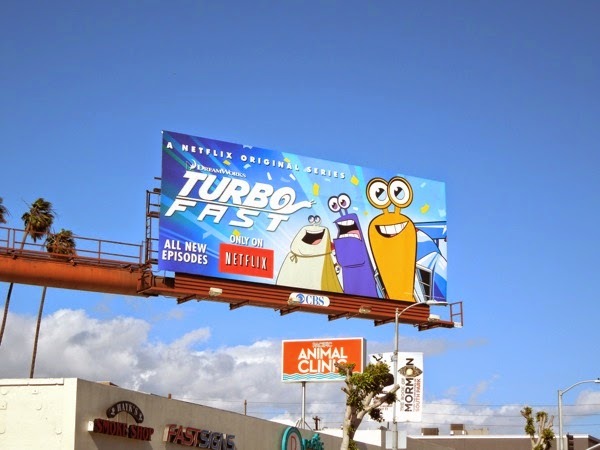 If you're a fan of the speedy snail, be sure to also check out these fun Turbo movie billboards from last Summer.